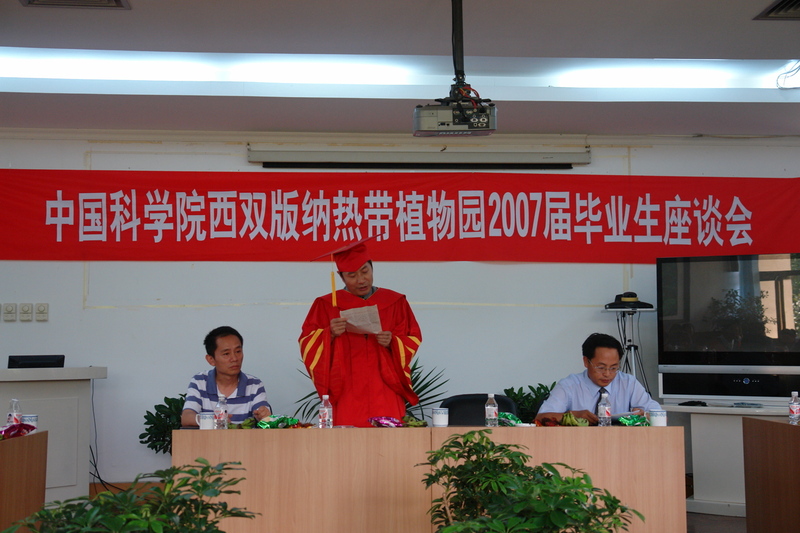 The annual celebration for XTBG graduating students 2007 was held at the headquarters on June 27, which included a gathering of the students, their teachers and leaders, acknowledgements, farewell party and planting memorial tree as well. It’s a wonderful time to rejoice, celebrate, recognize the accomplishments of the graduating students. 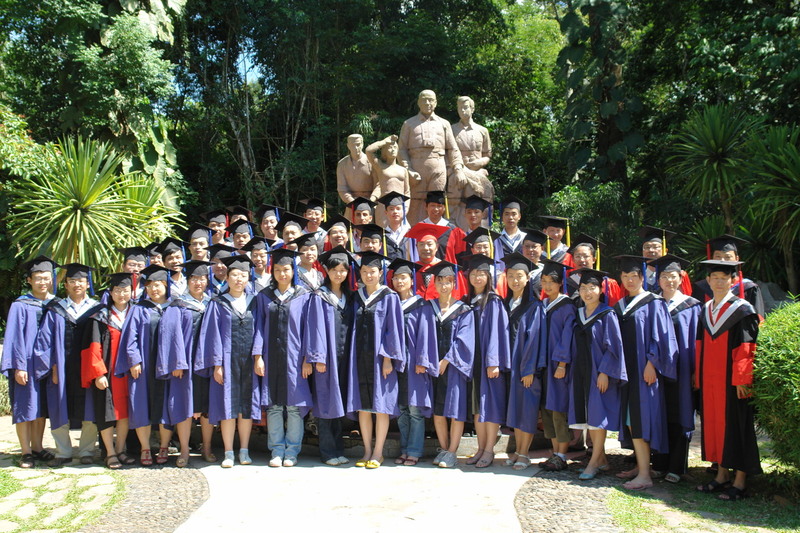 Among the 43 graduating students, 31 of them are to be granted degrees on time. 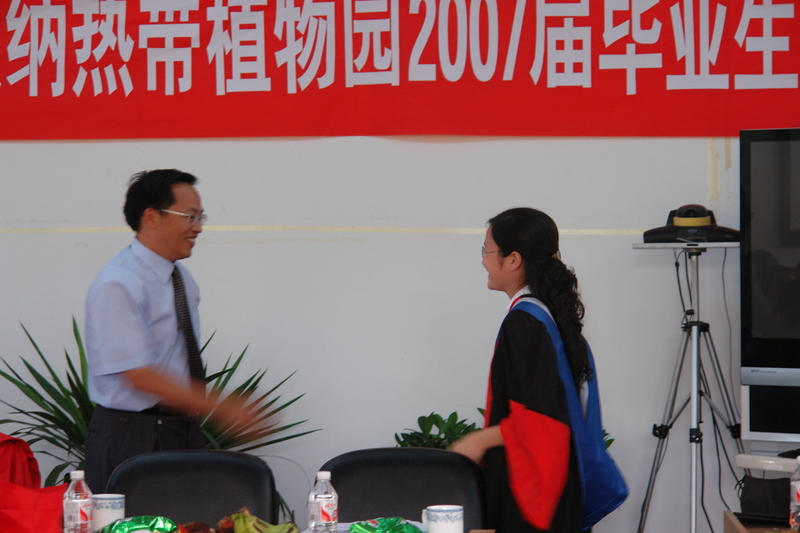 On behalf of XTBG, Dr. Chen Jin conveyed congratulations and best wishes to the students. The students also shared their experiences studying in XTBG. 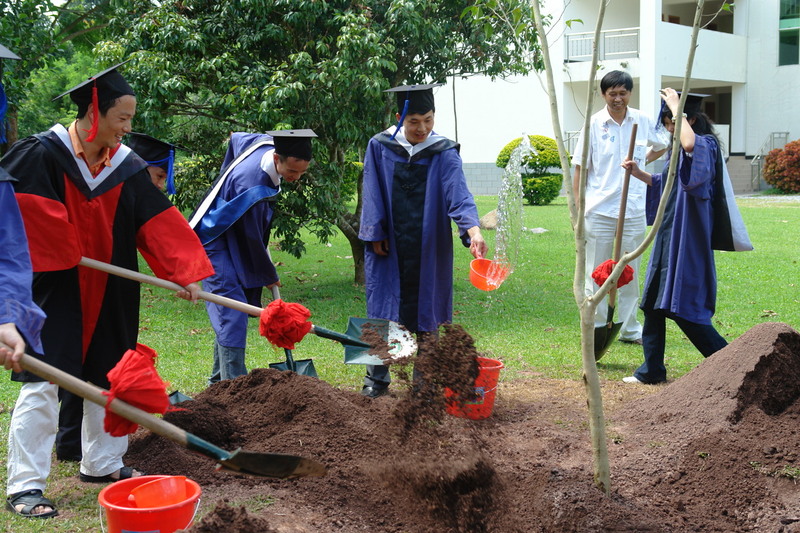 This year, the students planted a tree of Ficus benjamina for memory.